What is the Forest of Fame? The TreePhilly Forest of Fame is our latest initiative to honor the partners, volunteers and community members who have helped Philly become the City of Arborly Love. From organizing tree giveaways to becoming dedicated tree parents, these folks know how to leaf a lasting impact while greening their communities. Get to know our inductrees. 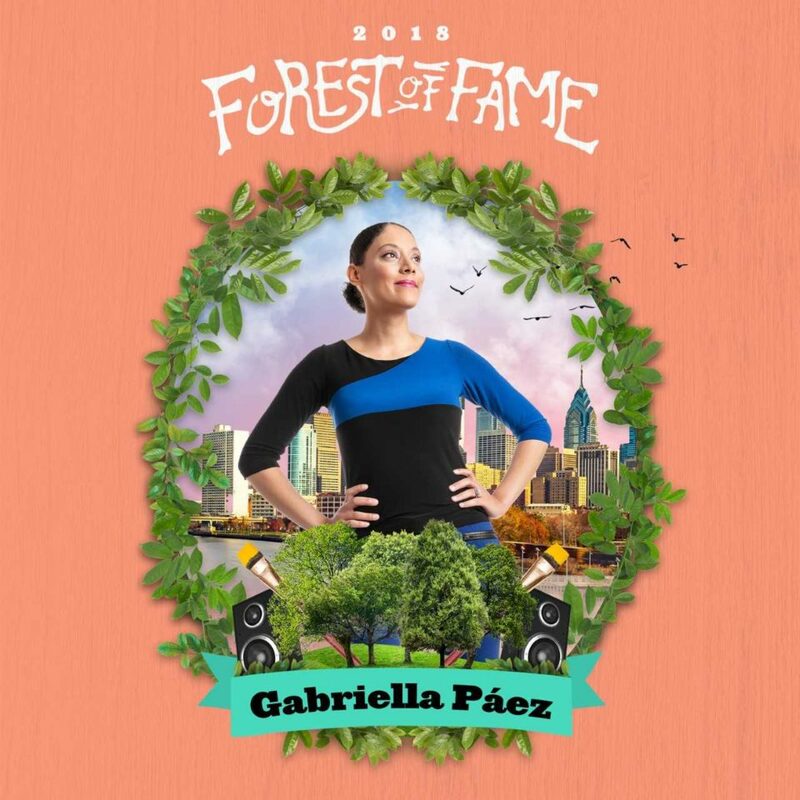 Scroll down to read about our first Forest of Fame member, Gabriella Paez. Stay tuned for a blog post introducing two new inductrees in October and November! Nominate the tree hero in your community by emailing treephilly@phila.gov. Send us your name, contact information, and a paragraph about how your tree hero contributes to Philadelphia’s urban forest. Gabriella has given away nearly 700 trees through the Community Yard Tree Giveaway Grant program. She engages her neighbors and creates excitement around trees by canvassing door to door and creating mock-up images to show what the community could look like with more trees. She also knows how to host a fabulous tree giveaway, and always includes music, food, face painting and other giveaways to make it special! Gabriella is the Education and Community Development Coordinator at Nueva Esperanza, Inc., and she was just named the SustainPHL 2018 Activist of the Year. This season, Gabriella will be hosting, not one, but two Community Yard Tree Giveaways in the Hunting Park neighborhood. Find out how to register for a tree in the Hunting Park here! Let’s give it up for Gabriella, tree hero! Learn how you can get involved with our tree giveaways and more here.